Charged With a First Offense DUI? Here's What You Need to Know. South Carolina has been working aggressively to cut down on drivers who operate vehicles under the influence, after statistics were released showing that our state ranks among the top in DUI fatalities in the United States. It's important to know what possible consequences you're facing if you are charged with Driving Under the Influence. Note here that "influence" doesn't only mean alcohol, but also drugs like marijuana and other substance use (even prescription painkillers can create in a driver conditions that make driving dangerous and unsafe). Today, we'll walk you through what you may be looking at when charged with a first-offense DUI. 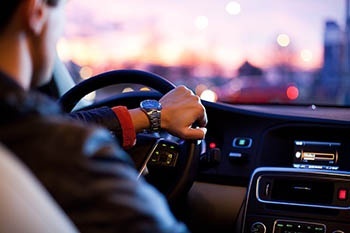 Certain circumstances, such as driving under the influence with children in the car, a blood-alcohol level that is a certain amount or more over the legal limit, and other problems may lead to stricter penalties even for a first offense. A conviction for first offense DUI will require a mandatory six-month suspension of your license, unless the charge is successfully contested. Do not continue driving on a suspended license. Being pulled over while driving on a suspended license for a DUI offense can result in even harsher penalties, up to and including higher jail sentences or a total removal of one's legal ability to drive. In order to have your license reinstated upon completion of the six-month suspension, you are required to complete the Alcohol and Drug Safety Action Program. Some first-offense convictions, depending on circumstances involved, will also require installation of ignition interlock devices in order to have driving privileges reinstated. Penalties for a first offense DUI are applied based on the BAC of the offender when they are arrested. If your Blood Alcohol Concentration is under .10%, you'll be looking at mandatory incarceration of two days up to a maximum of 30 days. If your BAC is above .10%, but less than .16%, you'll likely face a mandatory sentence of 3 to 30 days. Above .16%, mandatory sentencing stats at 30 days but will not be longer than 90 days. First-time offenders may avoid these jail sentences by performing public service, depending on the circumstances of the case. Fines will likely range from $400 to $1,000 depending on the Blood Alchohol Concentration of the arrested driver, and do not include costs incurred during the completion of your term of sentences, process of license reinstatement, court costs, or any additional fees or surcharges assessed. A first-offense DUI conviction in South Carolina will continue to affect any possible subsequent sentences or arrests for 10 years. It can take less than a single six-pack of beer to put someone over the legal limit for driving after alcohol ingestion in South Carolina. If you've been pulled over and arrested for a first offense DUI, you deserve to have your legal rights defended. At Bluestein Attorneys, we have worked with Criminal Defense cases, including DUI, drug offenses, property crimes, and more. To schedule your FREE consultation, give us a call at (803) 779-7599 or contact us online at any time! We''re happy to sit down with you and discuss the details of your unique situation and discuss what steps to take next. At Bluestein Attorneys, we're here to help.